Donor lottery 7,737.00 2 2018-12-29 -- https://app.effectivealtruism.org/lotteries/63715163508812 -- January 2019 $100k lottery, Block 1, [8,294,935,620–93,364,150,260]. See https://app.effectivealtruism.org/lotteries for general background; see https://forum.effectivealtruism.org/posts/nuzcbhk2JYMkALHke/donor-lottery-2018-is-live for the blog post announcing this lottery. Donor lottery 16,463.00 1 2017-12-16 -- https://app.effectivealtruism.org/lotteries/31553453298138 -- Block 1, [135,374,500,302–316,387,099,581]. 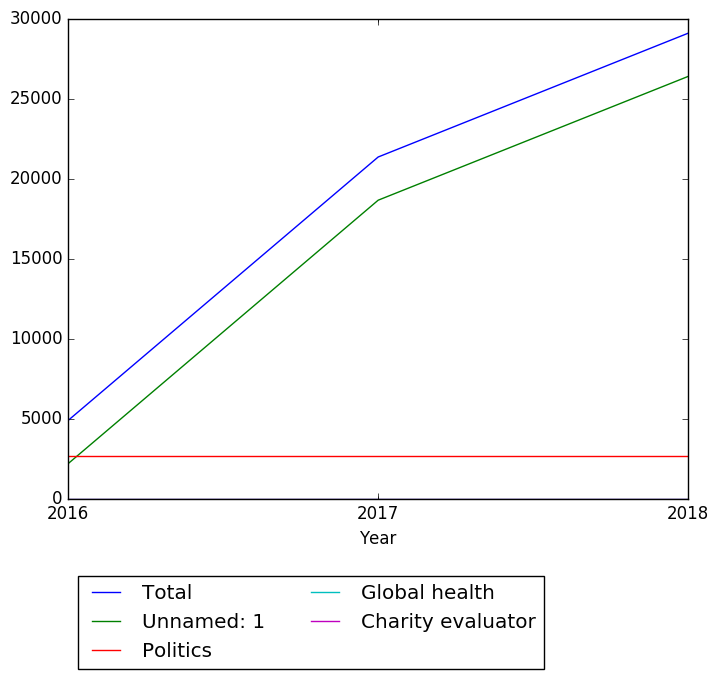 See https://app.effectivealtruism.org/lotteries for general background; see http://effective-altruism.com/ea/1ip/announcing_the_2017_donor_lottery/ for the blog post announcing this lottery. For an explanation by this donor of why she chose to participate in the donor lottery, see https://www.openphilanthropy.org/blog/staff-members-personal-donations-giving-season-2017#Ajeya. Percentage of total donor spend in the corresponding batch of donations: 100.00%. 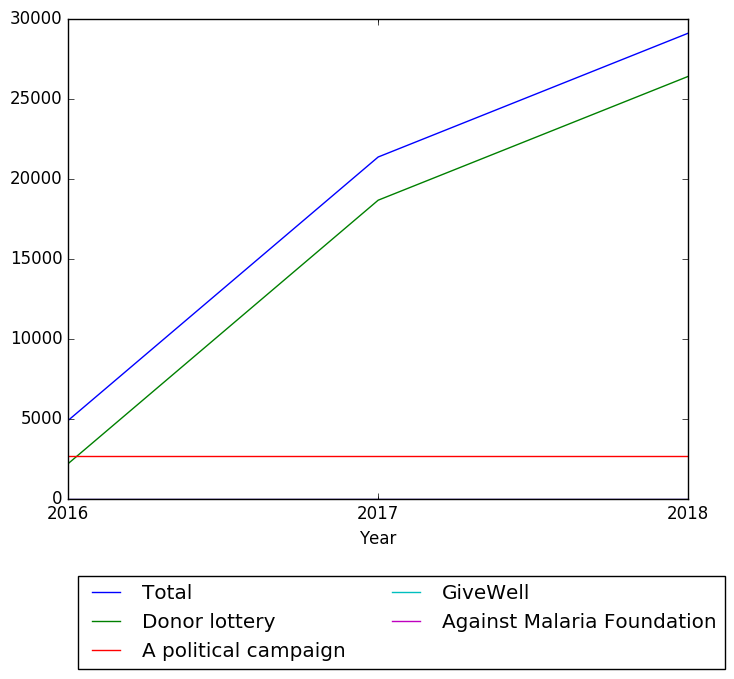 Donor lottery 2,200.00 4 2016-12-07 -- http://effective-altruism.com/ea/14d/donor_lotteries_a_stepbystep_guide_for_mall/ -- Reasoning explained more in https://blog.givewell.org/2016/12/09/staff-members-personal-donations-giving-season-2016/ (go to section for Ajeya Cotra). Percentage of total donor spend in the corresponding batch of donations: 45.00%. A political campaign 2,700.00 3 2016-10 Politics https://blog.givewell.org/2016/12/09/staff-members-personal-donations-giving-season-2016/ -- Target of donation not specified, but this donation was in mid-October, in the runup to the November 2016 United States presidential and legislative elections. Also, amount not explicitly specified, but inferred from 55-45 split in donations and knowledge of donor lottery amount from http://effective-altruism.com/ea/14d/donor_lotteries_a_stepbystep_guide_for_mall/ Note also that political campaign donations are capped at 2700 USD in the United States. Affected countries: United States; Percentage of total donor spend in the corresponding batch of donations: 55.00%. 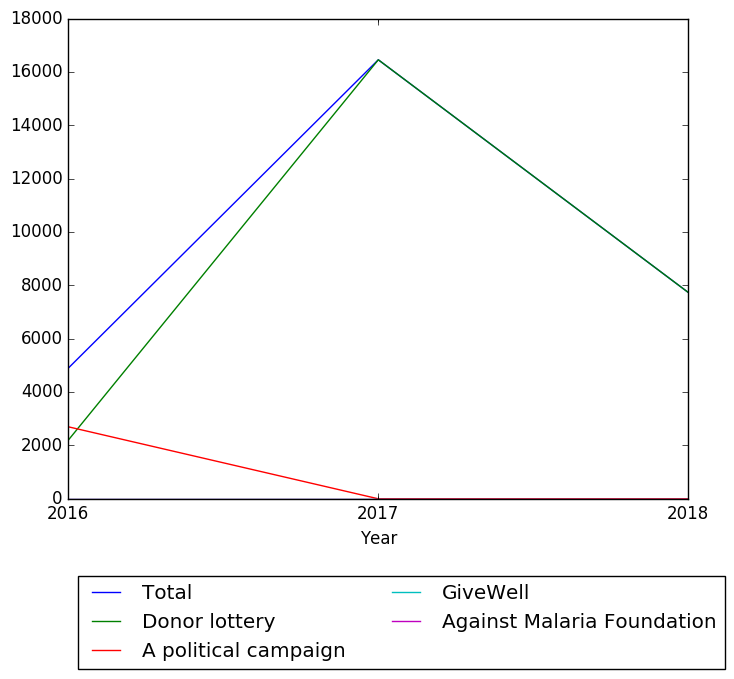 Against Malaria Foundation -- -- 2013 Global health/malaria https://eahub.org/user/ajeya-cotra -- Old entry in EA Hub profile. No amount or other details specified. The donor would later join the Open Philanthropy Project (then still a part of GiveWell) as an employee, but as of the time of this donation was a student. 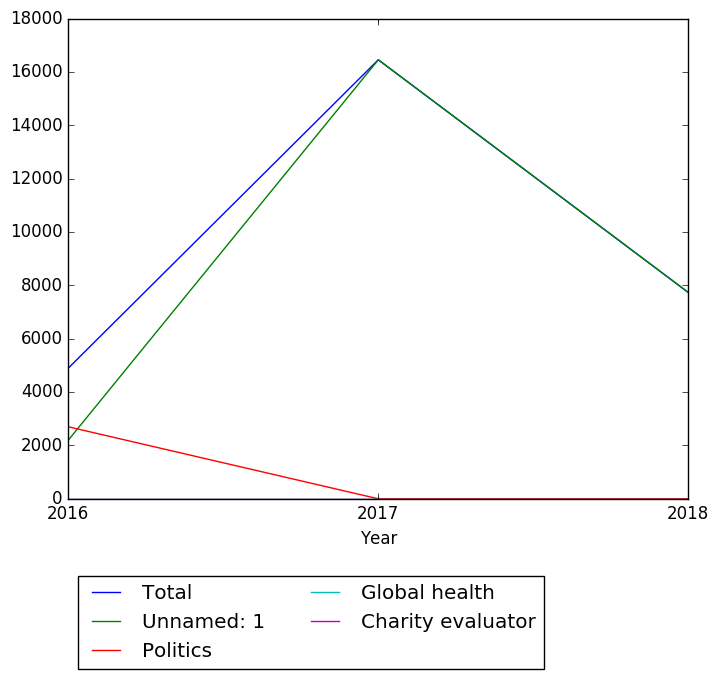 GiveWell -- -- 2013 Charity evaluator https://eahub.org/user/ajeya-cotra -- Old entry in EA Hub profile. No amount or other details specified. The donor would later join the Open Philanthropy Project (then still a part of GiveWell) as an employee, but as of the time of this donation was a student.